This recipe comes from the book called SugarDetoxMe (check the review at the end) and it’s one of those healthy dinners which are easy and quick to make. I love having fish once or twice a week but I always tend to make it in the same way (check this baked salmon dinner recipe) so it’s always nice to try something different. I’ve made this baked sole dinner several times so far and I love it. 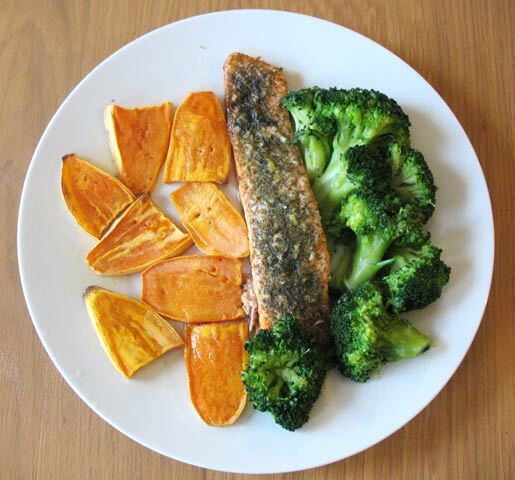 The sole fillets don’t take a long time to cook – only 15 minutes in the oven which is quicker than salmon fillets. If you have time you could marinate the fish for 20-30 minutes but I skip this step to save time. The fish is served with vegetables which also cook very quickly – peas, asparagus and courgette. This dinner on its own might leave you feeling a little bit hungry so I suggest you have it with a side dish such as brown rice, quinoa or baked sweet potato fries. I know this could increase the time of cooking and food preparation so alternatively, you could buy one of those pouches with ready-made brown rice such as the one from Uncle Ben’s. So now over to the recipe.. 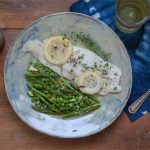 Sole is a most agreeable fish, because its luscious white flesh is so mild; even my non–fish loving friends will wolf down lemony sole. 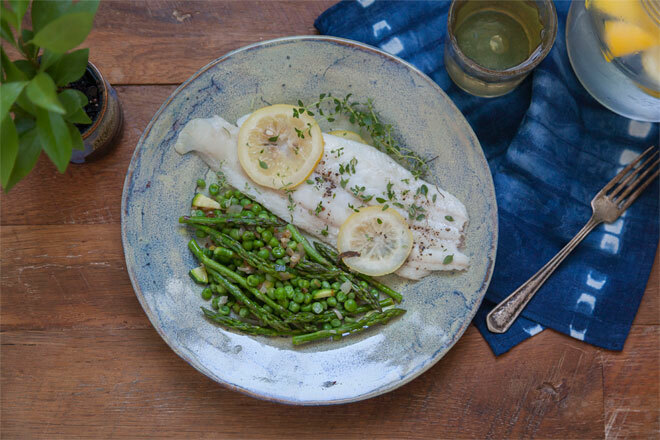 It’s also a particularly thin fish, so it cooks in no time at all, and it takes on the flavor of whatever you dress it up with—in this case, a little lemon and lemon zest, which go a long way. Zest the lemon and set aside the zest. Place the sole fillets in a glass baking dish. Rub the fillets with salt, pepper, and a squeeze of lemon juice. Cut the lemon in round slices and place them on top of the fillets. If you have the time, let the fish marinate in the refrigerator for 20–30 minutes. Otherwise, place it in the oven at 350°F for 15 minutes or until the flesh flakes easily with a fork. Heat the olive oil over medium heat in a nonstick skillet. Add the shallot and sauté it for 2 minutes or until translucent. Add the peas, asparagus, and zucchini to the skillet and sauté for about 3 minutes or until they are tender. Remove the veggies from the heat and plate them. Remove the fillets from the oven. Plate them, and season with fresh thyme, salt, pepper, and 1 tablespoon of the lemon zest (reserve the remaining zest for another use). 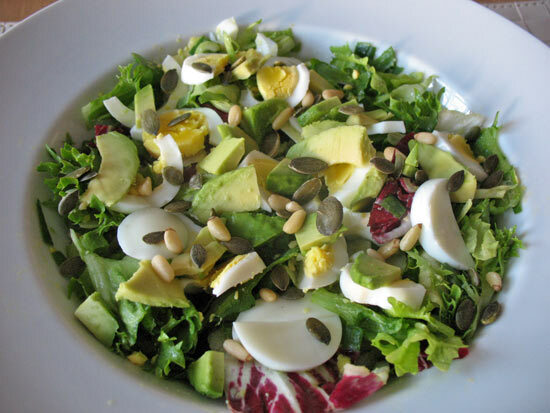 In the SugarDetoxMe book you will find plenty more of healthy recipes like this one and many of them are really quick to prepare. Most of the recipes are vegetarian and there are only a few meat dishes in the book as the author believes that meat should only represent around 5 percent of your diet. 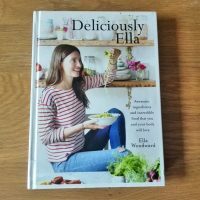 I’ve tried quite a few recipes from the book so far and I also loved ‘Roasted Balsamic Portobello with Greens and Avocado’ and ‘Minty Pea Soup’. I cannot wait to try other soups such as ‘Smoky Tomato Soup with Kale’ and ‘Parsnip-Potato Puree Soup’. If you want to kick your sugar addiction this book is very useful to have – the book actually starts with Sugar detox guide with lots of tips and advice on how to get started on your sugar-free journey. There are 100+ recipes in the book which will help you curb cravings and get back on track with your health. The book contains a variety of soup recipes, salads and egg dishes. If you love eggs this book is definitely for you as there are so many healthy egg recipes in there you won’t be bored (maybe a few too many egg recipes, if you ask me). 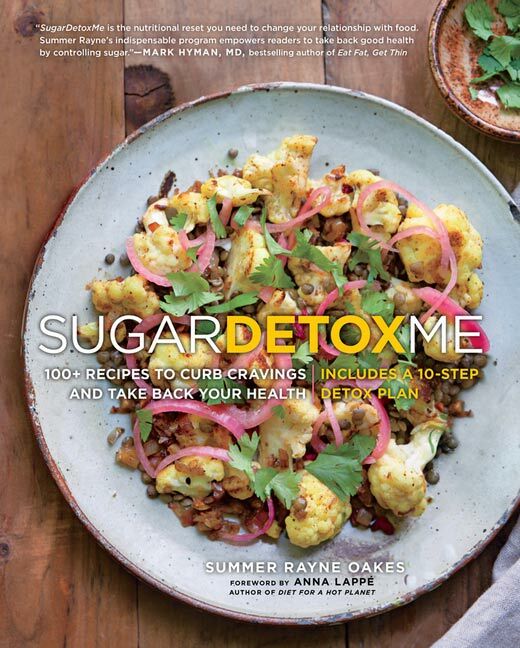 All in all, SugarDetoxMe is a great book to have, not only if you are trying to cut back on sugar, but also if you need some healthy eating inspiration. SugarDetoxMe is available to buy from The GMC Group for £19.99.